Our Lord has called out of this world to Himself, a very dear friend of our community, of EWTN, and of so many people around the world: Fr Benedict Joseph Groeschel CFR. He died on the Transitus of our Holy Father Saint Francis. 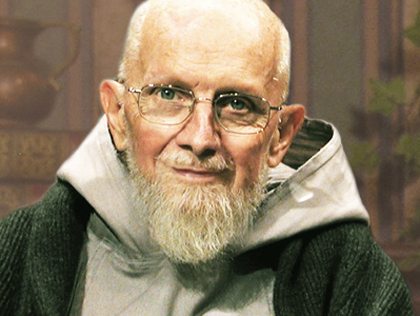 One could not think of a more appropriate moment to leave this world for such a true Son of Saint Francis. He was a defender of Holy Mother Church, a teller of truth, a guide and mentor, a spiritual giant. His life and teaching touched the lives of so many. May his Soul rest in that wonderful peace of Jesus his Lord. Last evening a prayer vigil was held in the Cathedral Basilica of the Sacred Heart in Newark, New Jersey. This included the Rosary, Eulogies, and Evening Prayer. You can join your prayers to the prayers of all who were in attendance last night, and countless people around the world who were watching on EWTN, by viewing the video below. Requiem aeternam dona ei, Domine; et lux perpetua luceat ei. Requiescat in pace. Amen. Eternal rest grant unto him, Oh Lord, and may perpetual light shine upon him. May his soul and the souls of all the faithful departed rest in peace, Amen. We will post the video of Fr. Groeschel’s funeral as soon as it becomes available. This entry was posted in Saints & Angels, Uncategorized and tagged Fr. Benedict Groeschel by texasnuns. Bookmark the permalink. he will be pronounced a saint in the fullness of time.thank you for posting the prayer vigil and i look forward to viewing the funeral.i was unable to view either on EWTN.